Image caption Former President Ricardo Martinelli says he is being "politically persecuted"
Panama's Supreme Court has launched an investigation into allegations that ex-President Ricardo Martinelli ordered illegal wiretaps. Mr Martinelli, who governed from 2009 to 2014, is already under investigation over corruption allegations. The former president has denied any wrongdoing, saying he is the victim of a "political persecution". Investigators say more than 150 people, including politicians and business people, were spied on illegally. Among the alleged victims of the wiretaps are high-ranking members of the opposition Revolutionary Democratic Party, as well as lawmaker Jose Luis Varela, who is the brother of current President Juan Carlos Varela. They allege that their phones were tapped and that the administration of Mr Martinelli prepared dossiers against them containing intimate information. One alleged victim says her private emails and messages to members of her family were monitored and recorded. Investigators said the wiretaps were carried out by members of Panama's National Security Council, who used sophisticated spy technology bought from Israel, which has since disappeared. Two former directors of the National Security Council, Alejandro Garuz and Gustavo Perez, have been called to give evidence in the case. They were arrested in January in connection with the alleged illegal wiretaps. 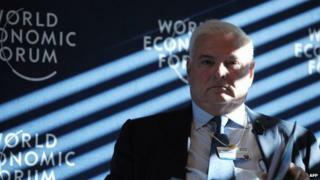 Mr Martinelli has not returned to Panama since leaving the country in January days before the Supreme Court voted in favour of having him investigated over alleged corruption. He is believed to be living in Miami, Florida.